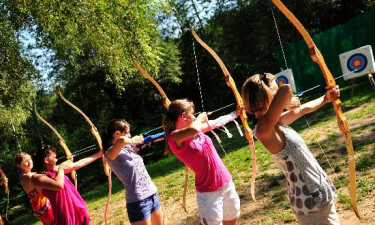 Located in the heart of one of the Dordogne region’s most enchanting leisure parks, Le Coiroux is a great place to use as a base. The shores of a tranquil lake are situated just 300 metres from the edge of this leading LuxCamp and this is the perfect place to unwind in style. The elevated position of Le Coiroux means that guests will be able to soak up stunning views of the area while they experience the best that luxury camping has to offer. While guests are invited to take part in a wide range of sports, areas such as the TV hut also provide pure relaxation. 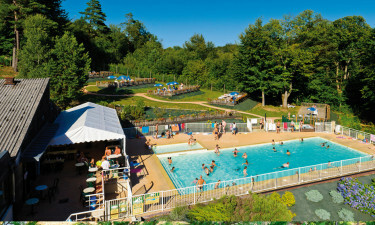 Le Coiroux boasts three separate swimming pools for guests to make use of. While the large outdoor pool is surrounded by sun loungers, the indoor swimming pool is heated and there is a separate shallow pool for young children. 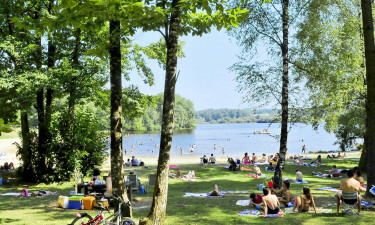 Sun worshippers will be able to spend time spread out on the stretch of golden sand that lines the large lake, which is located just a short stroll from their mobile home. A range of water sports can be enjoyed on the lake such as sailing and kayaking.